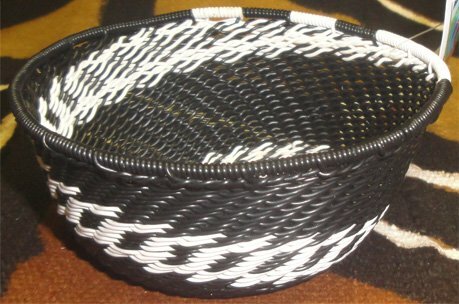 Zulu men have made utilitarian baskets for a long, long time. 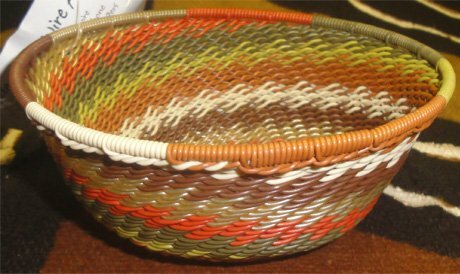 Men working in the mines started weaving with plastic-coated copper wire that they found at their work sites. 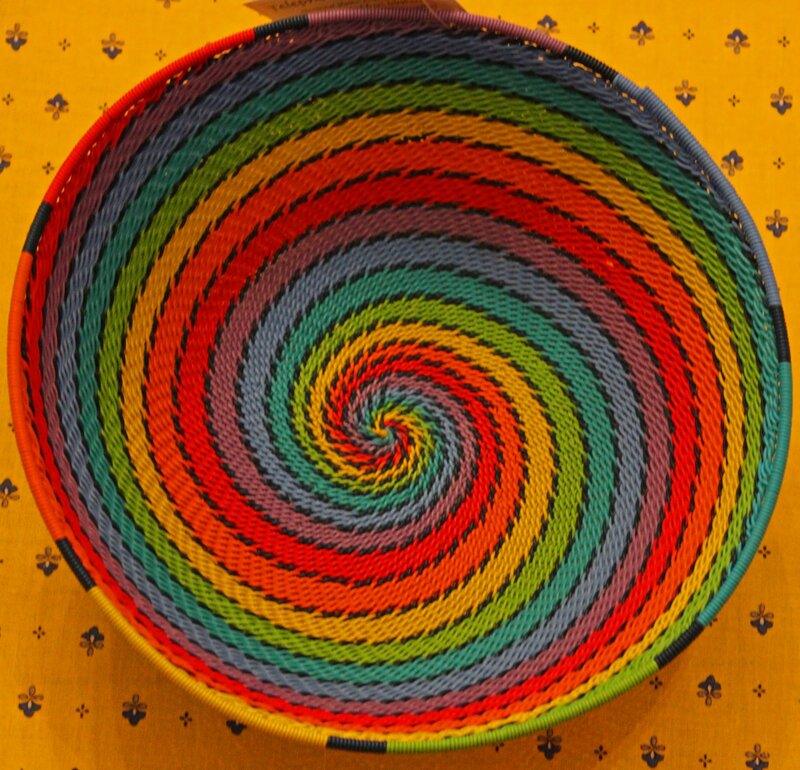 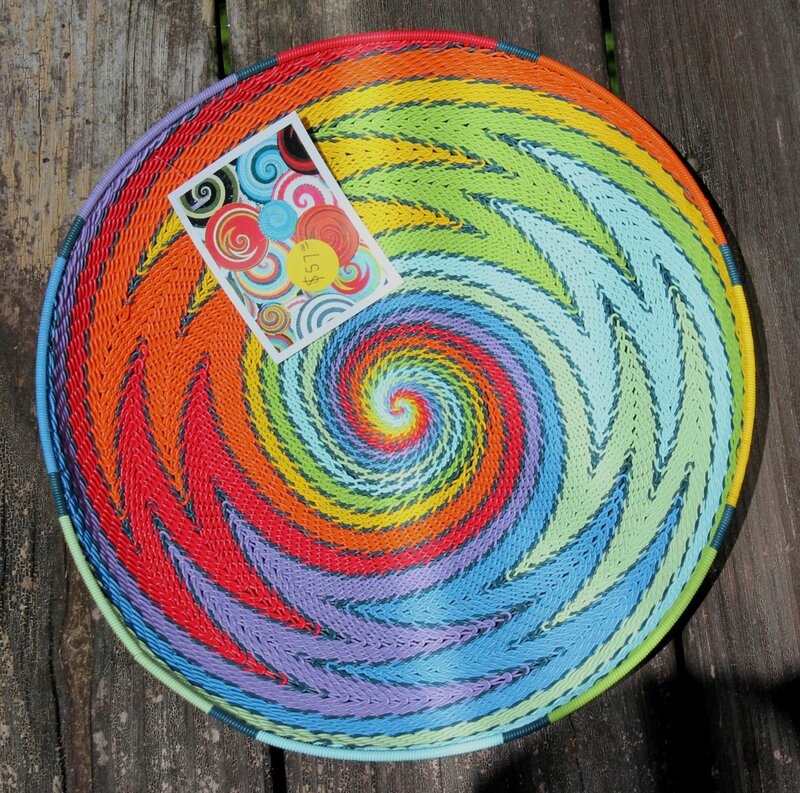 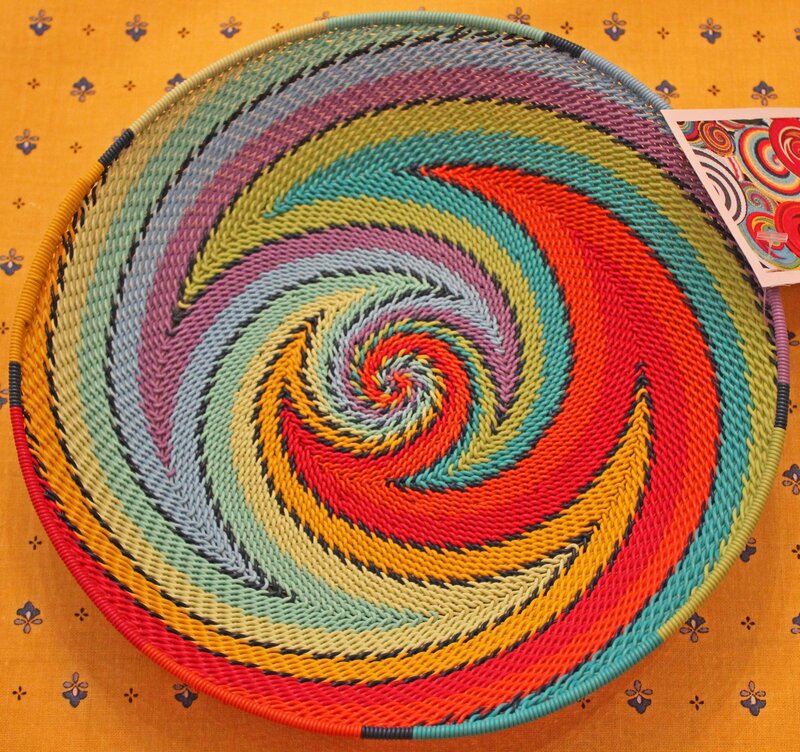 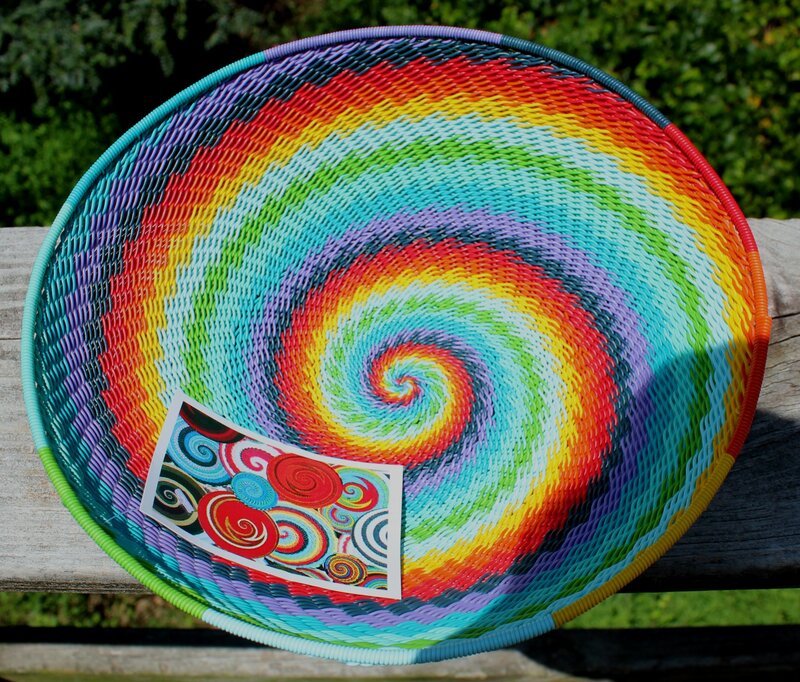 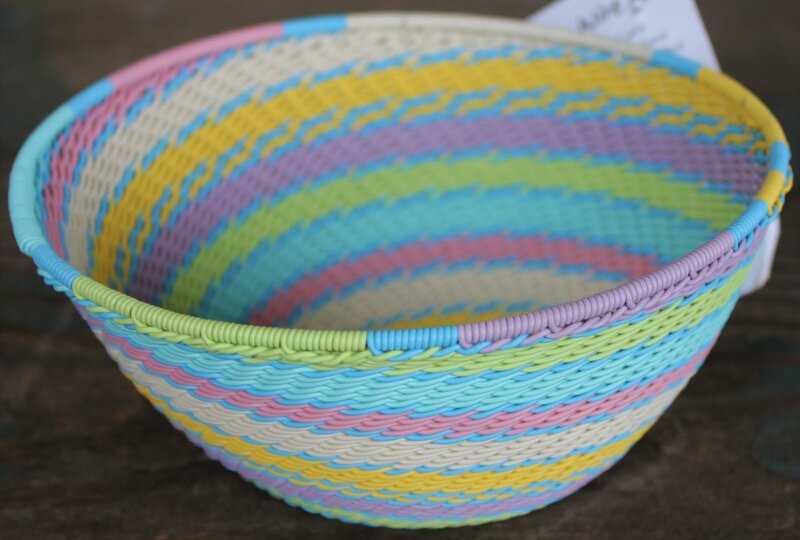 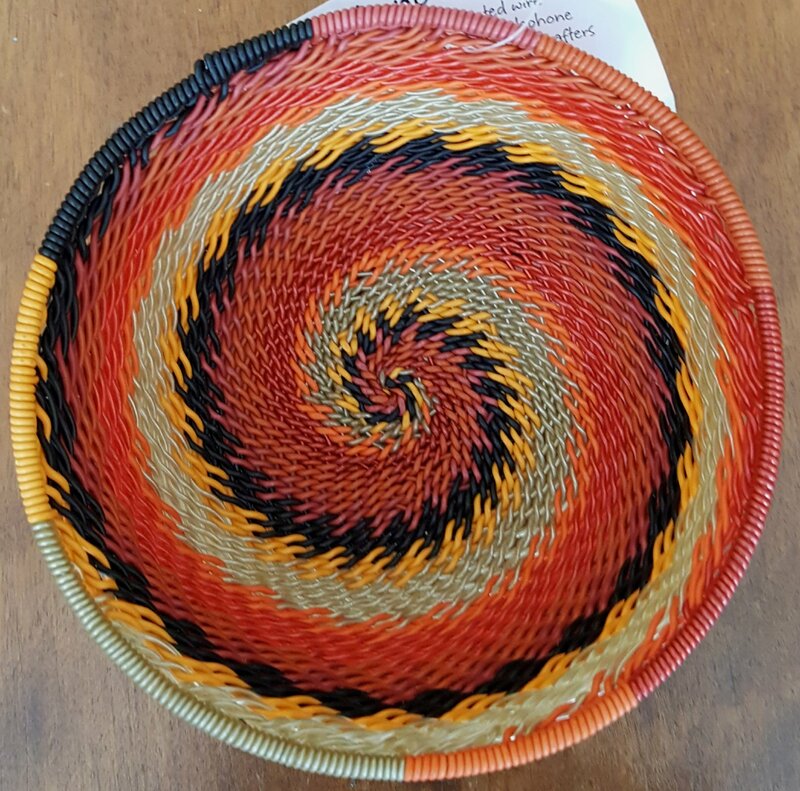 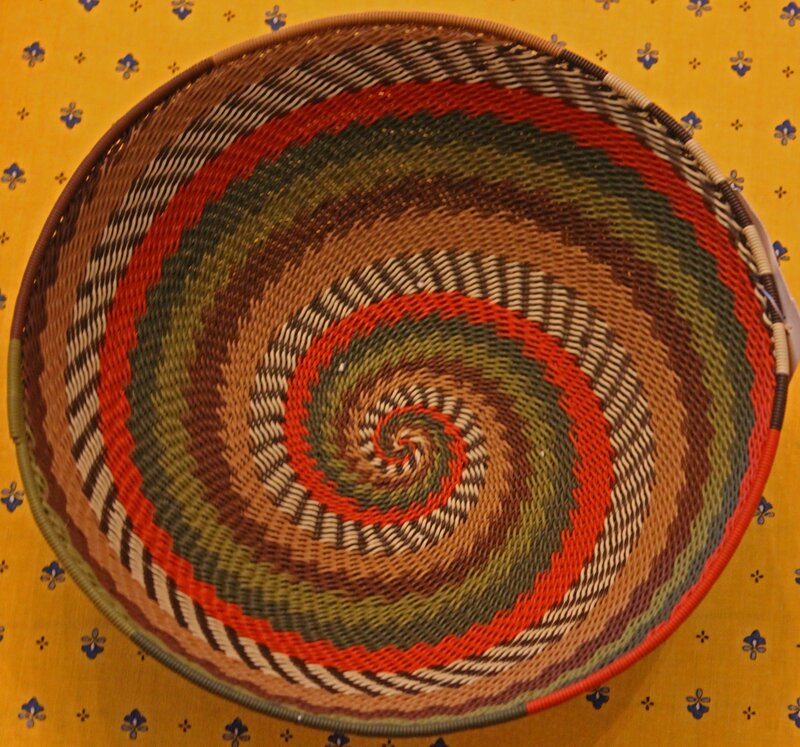 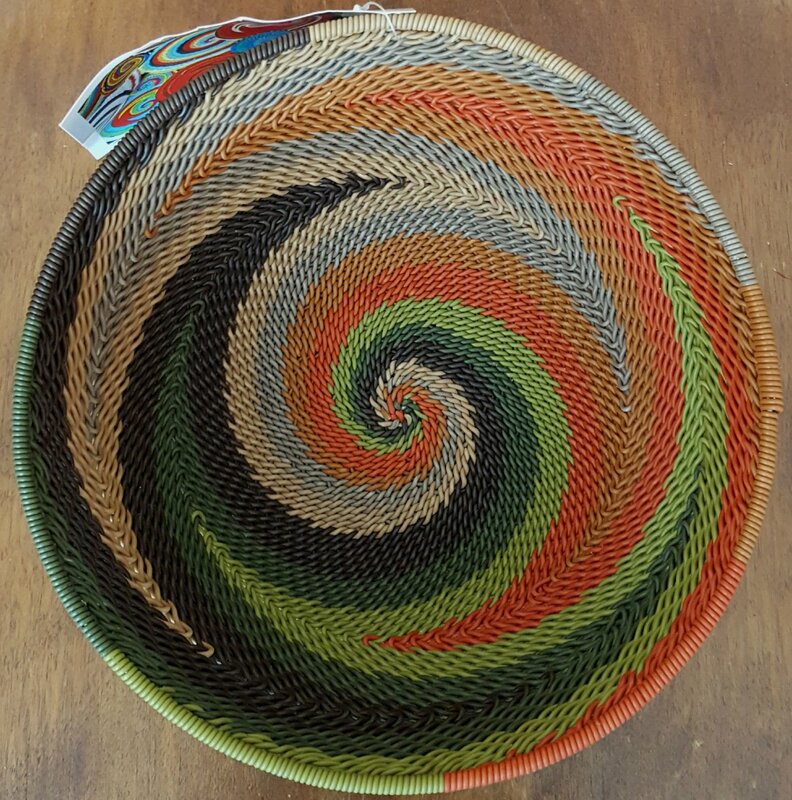 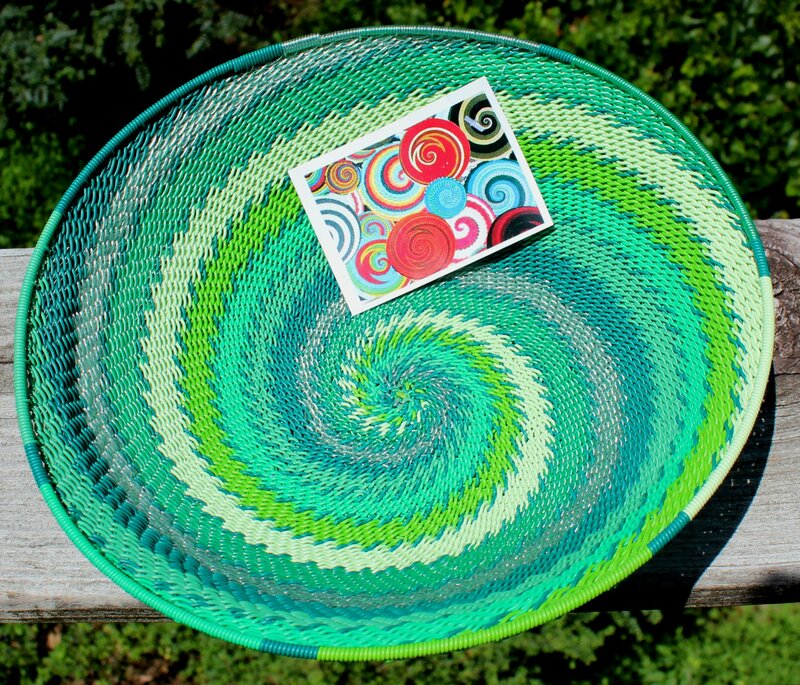 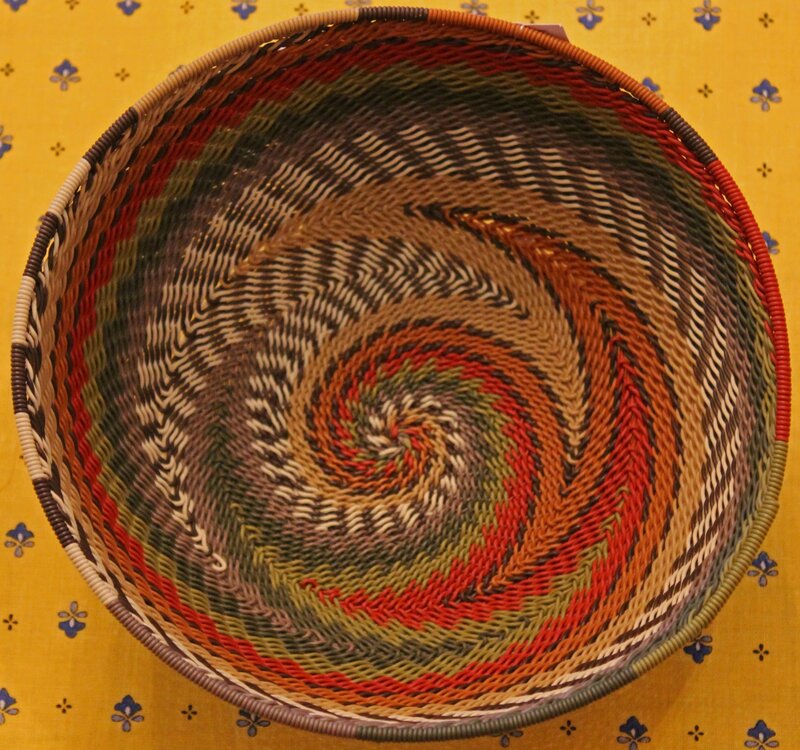 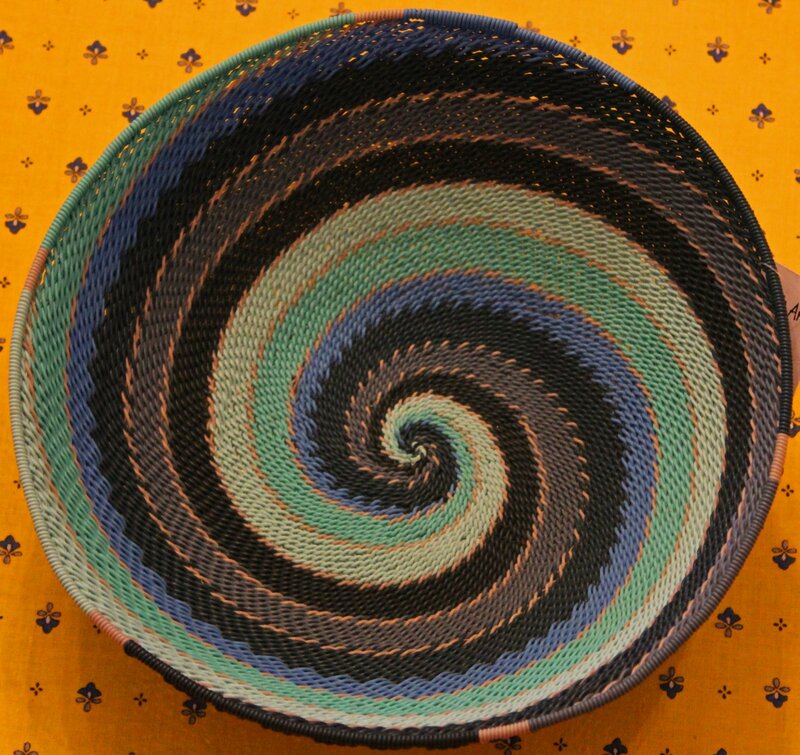 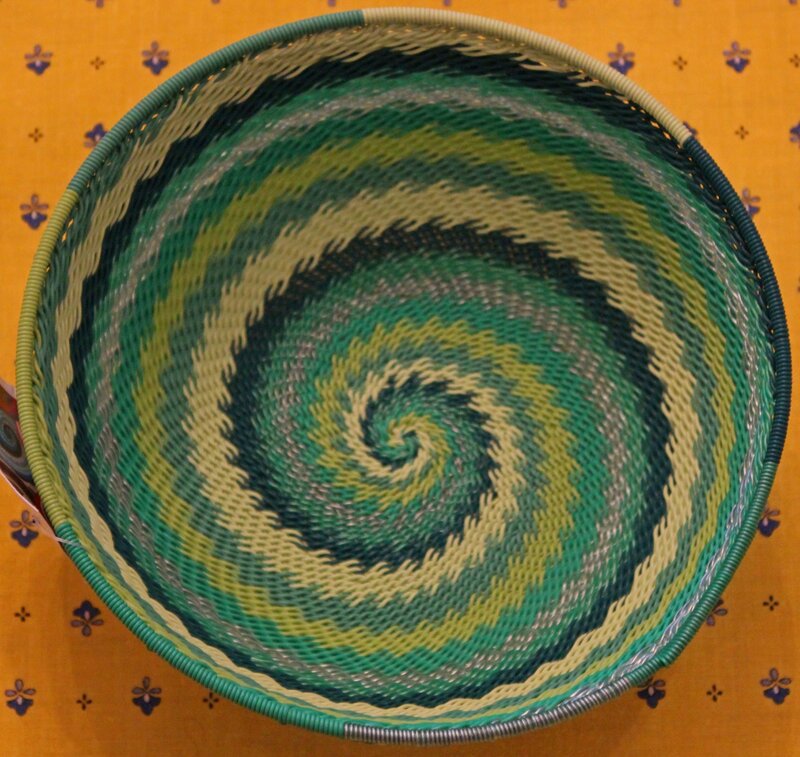 Wire baskets today are intricate, colorful works of art. 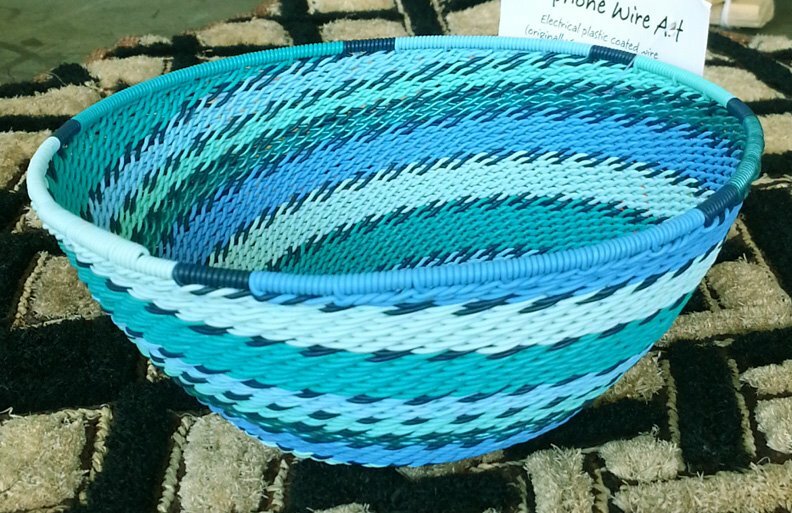 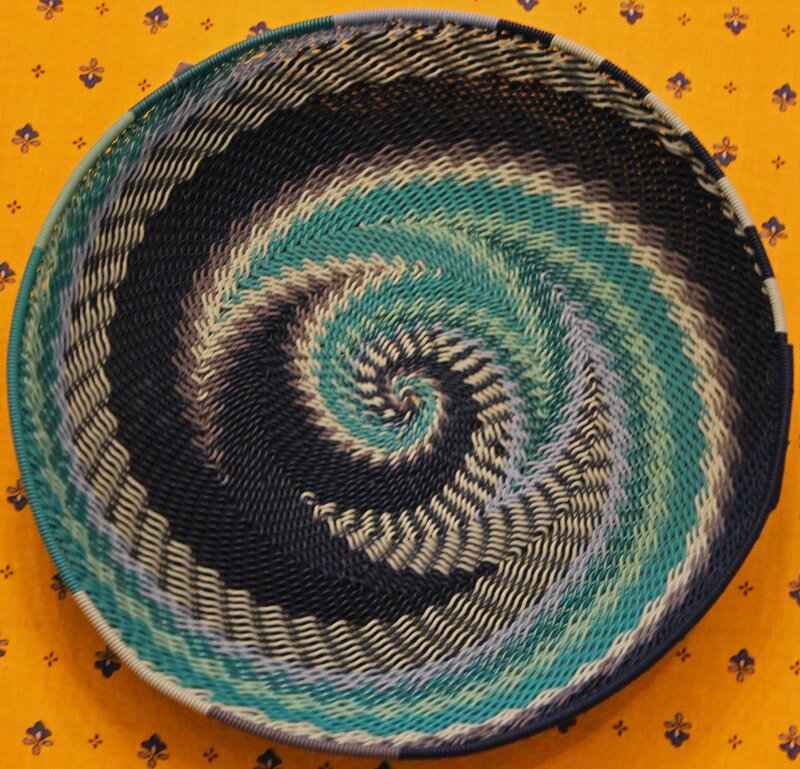 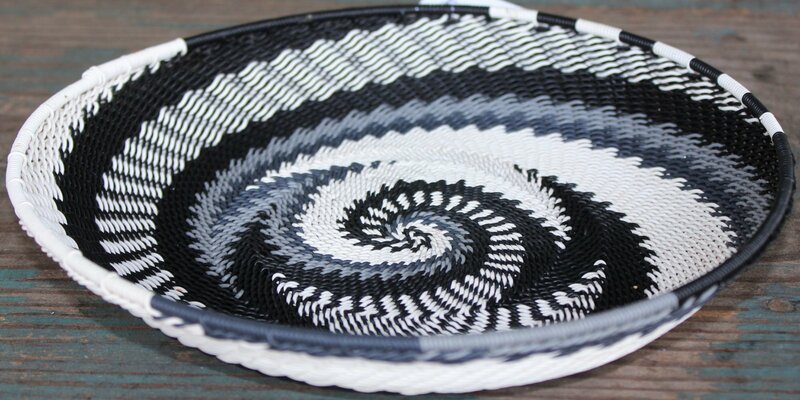 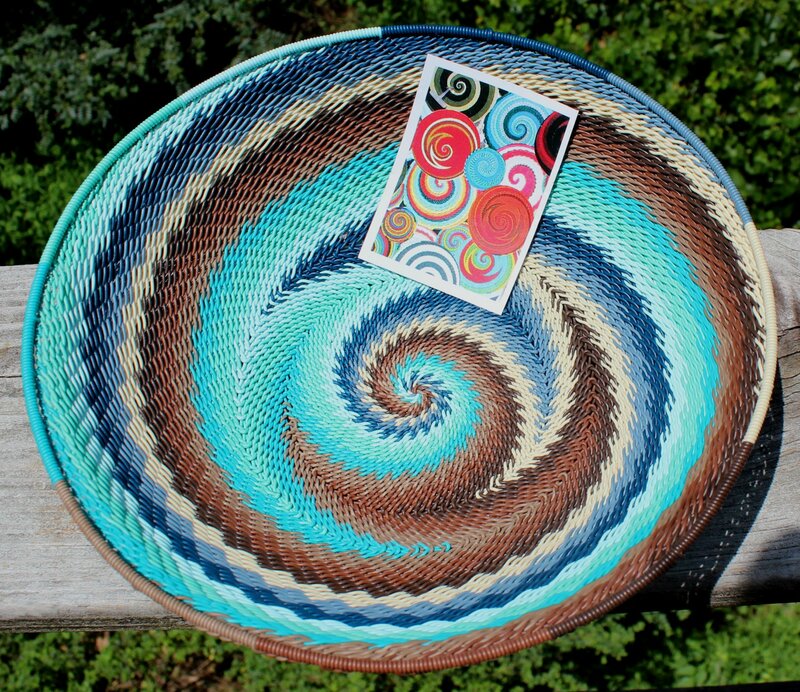 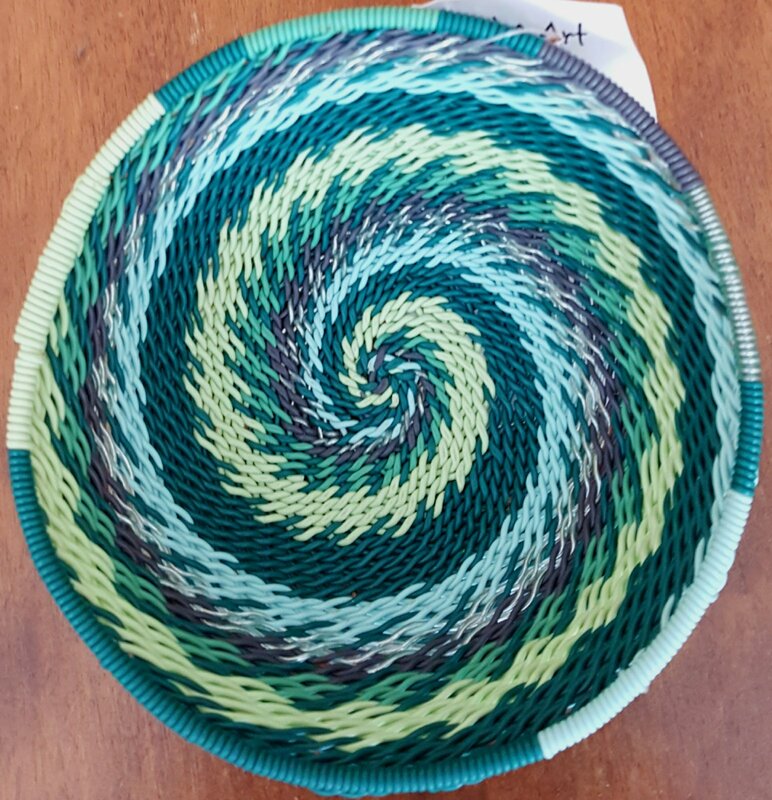 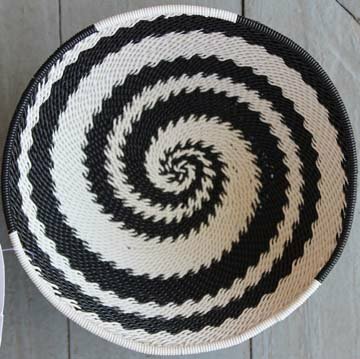 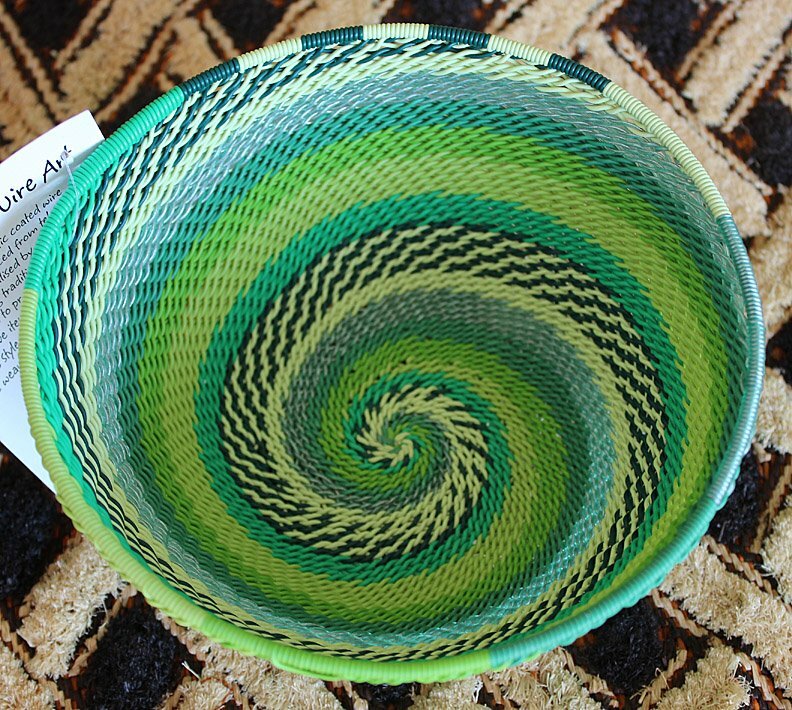 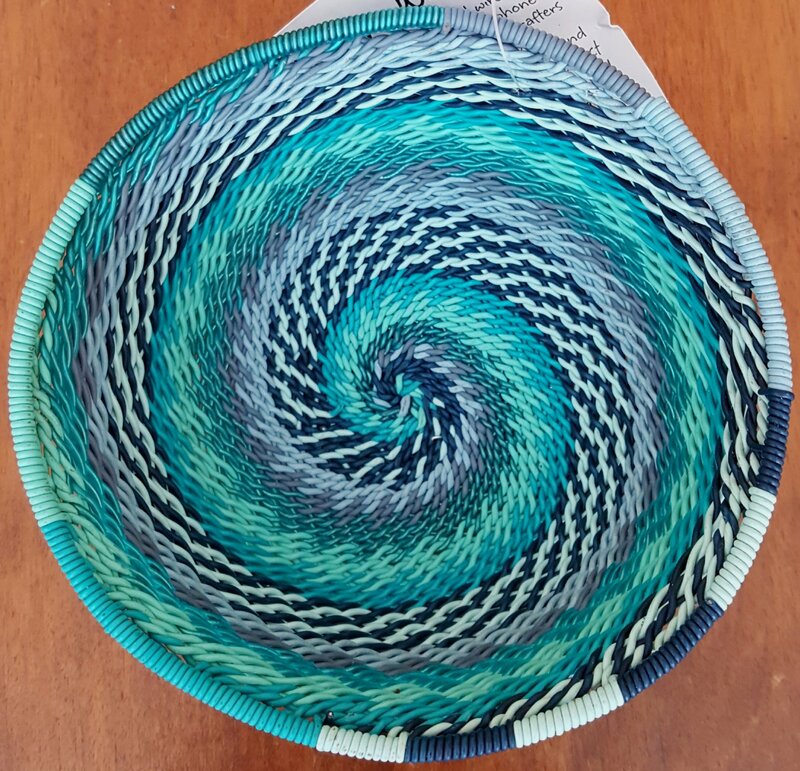 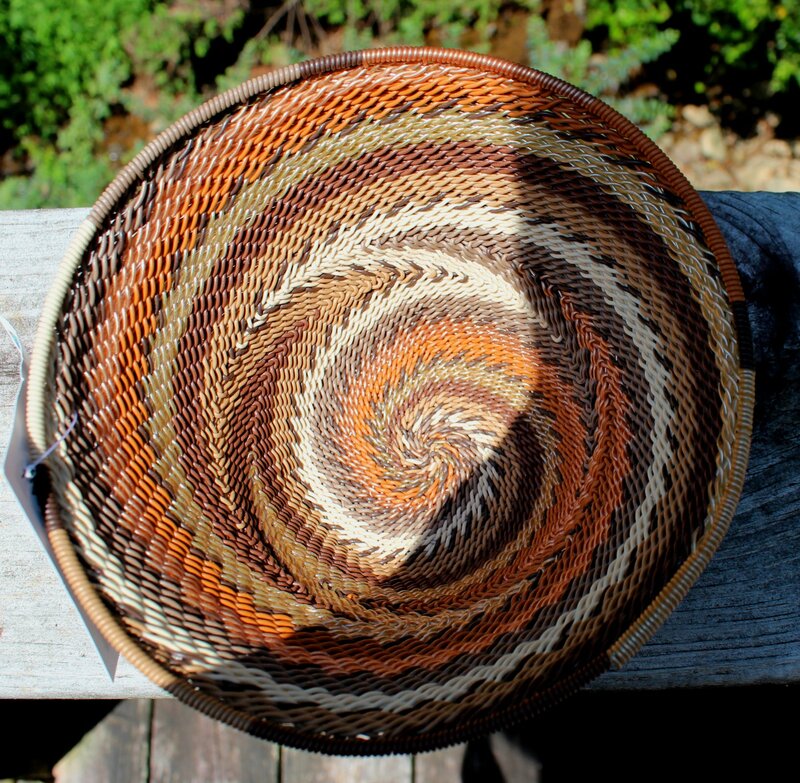 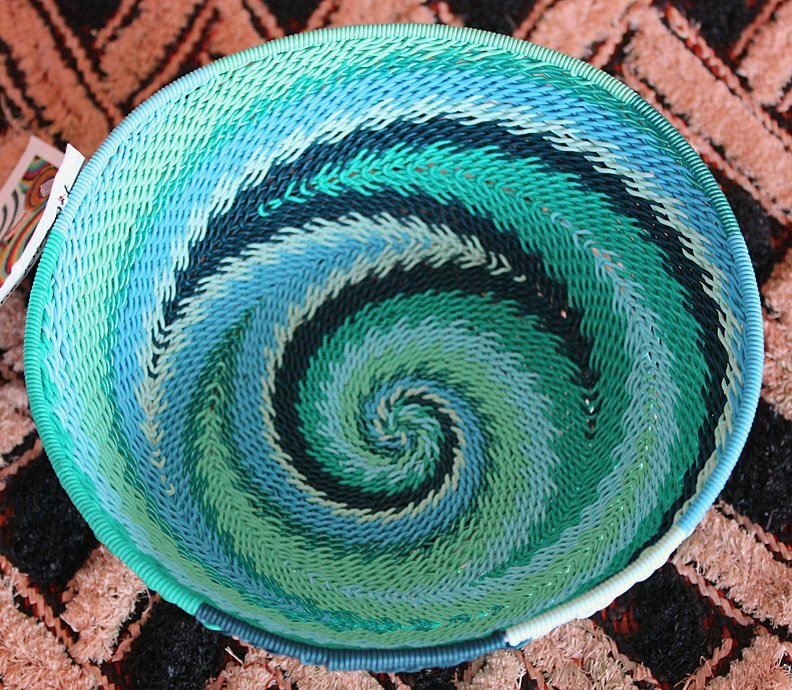 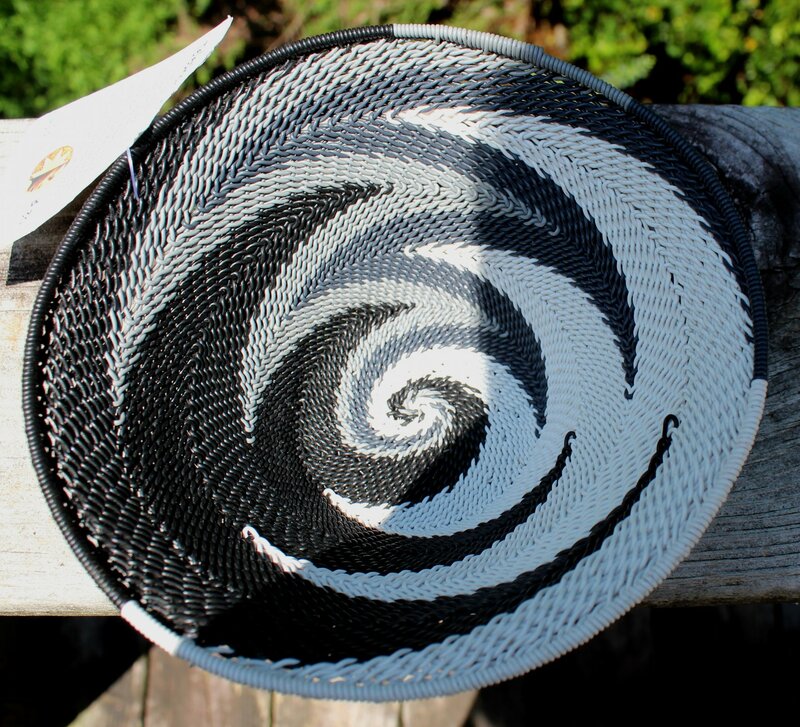 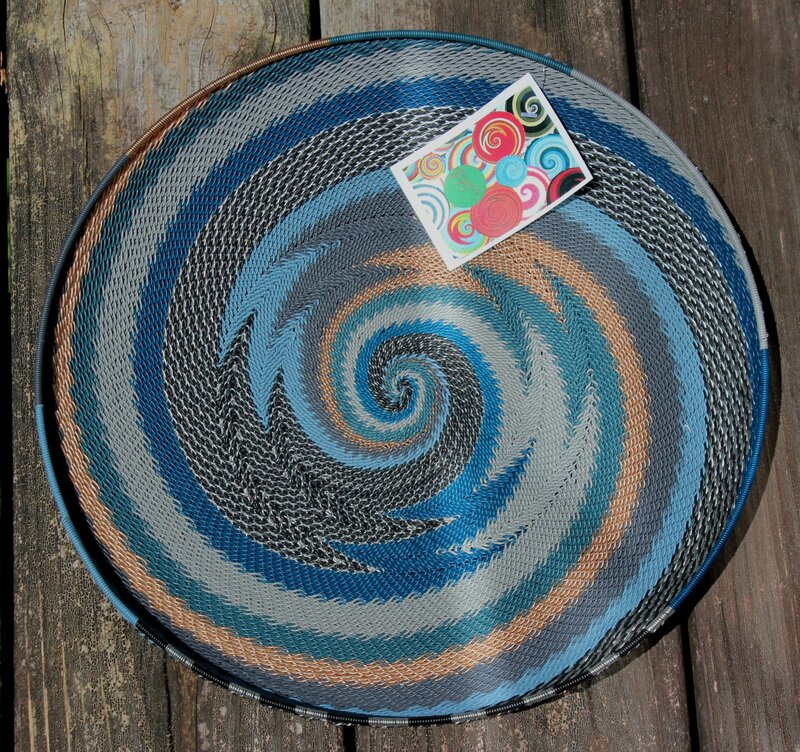 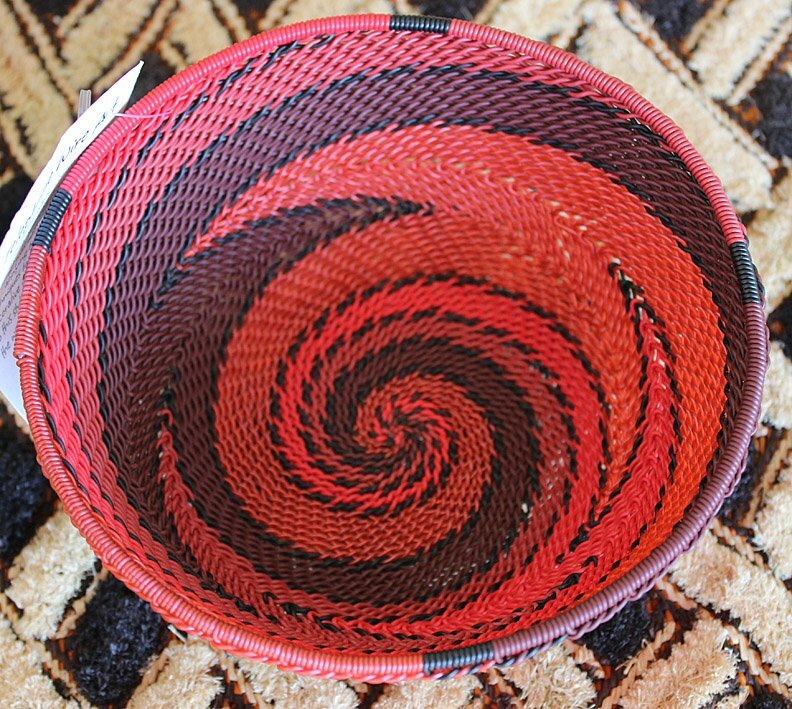 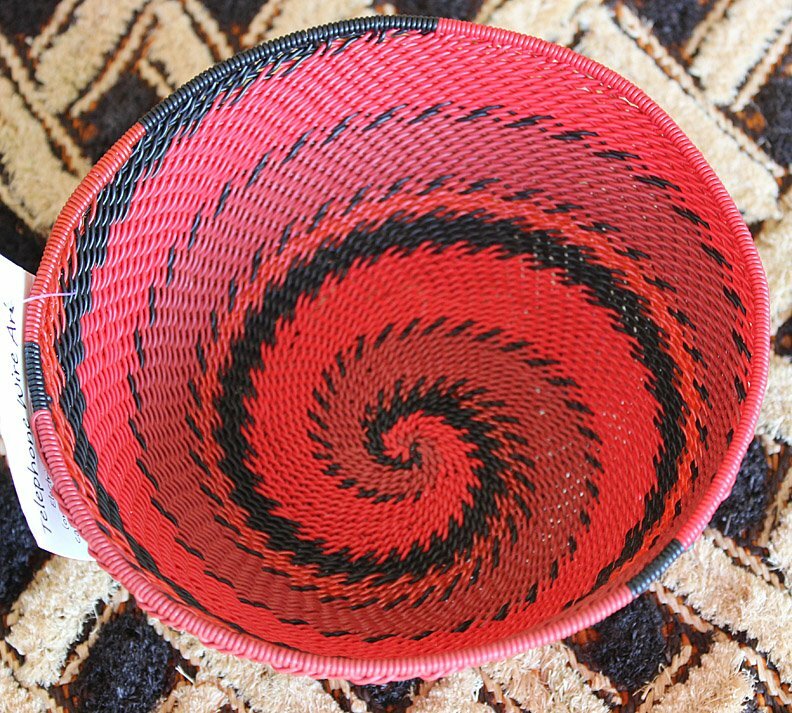 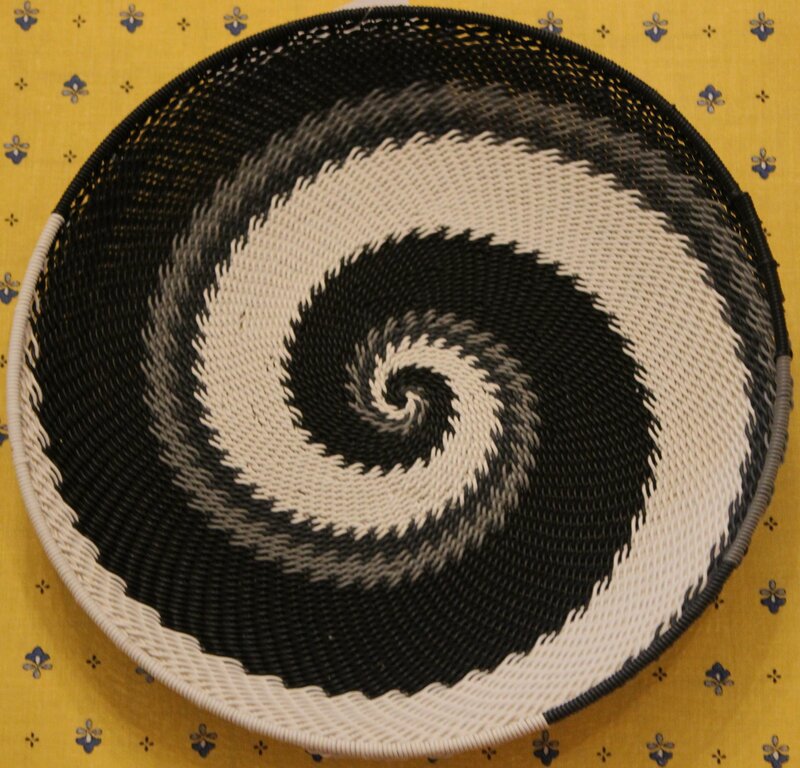 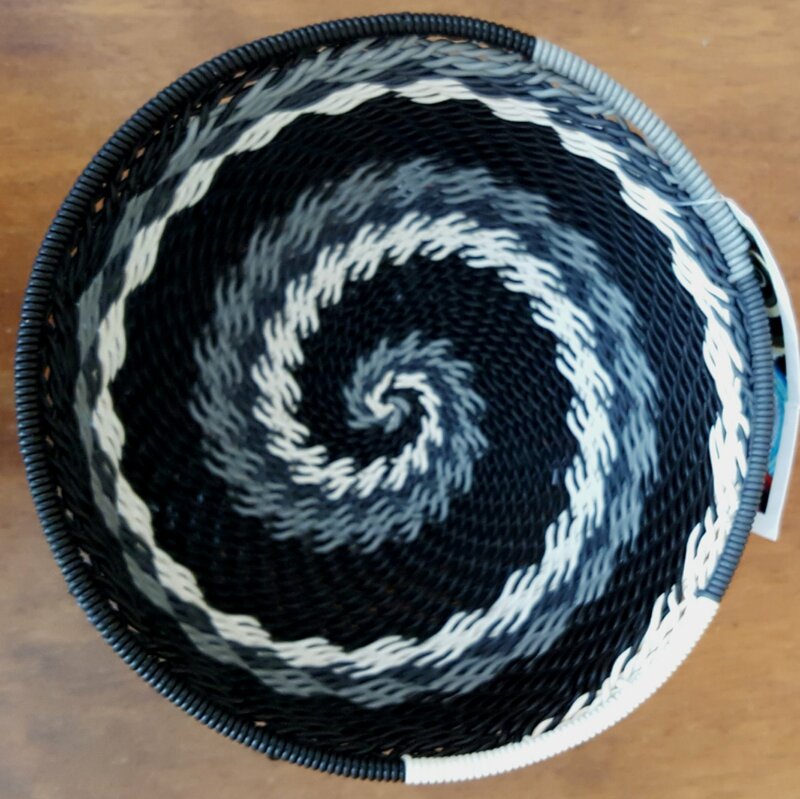 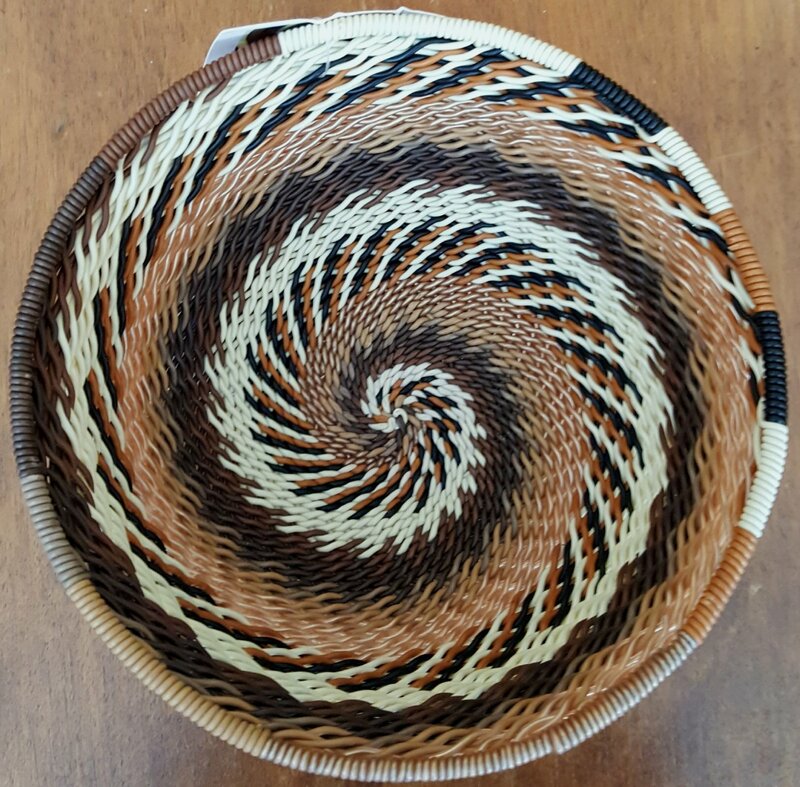 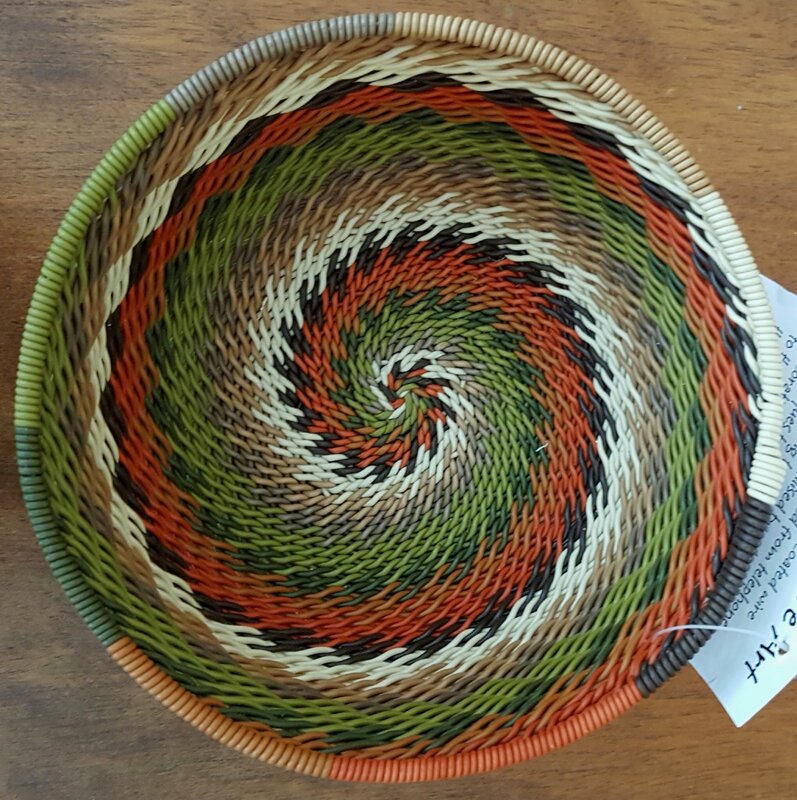 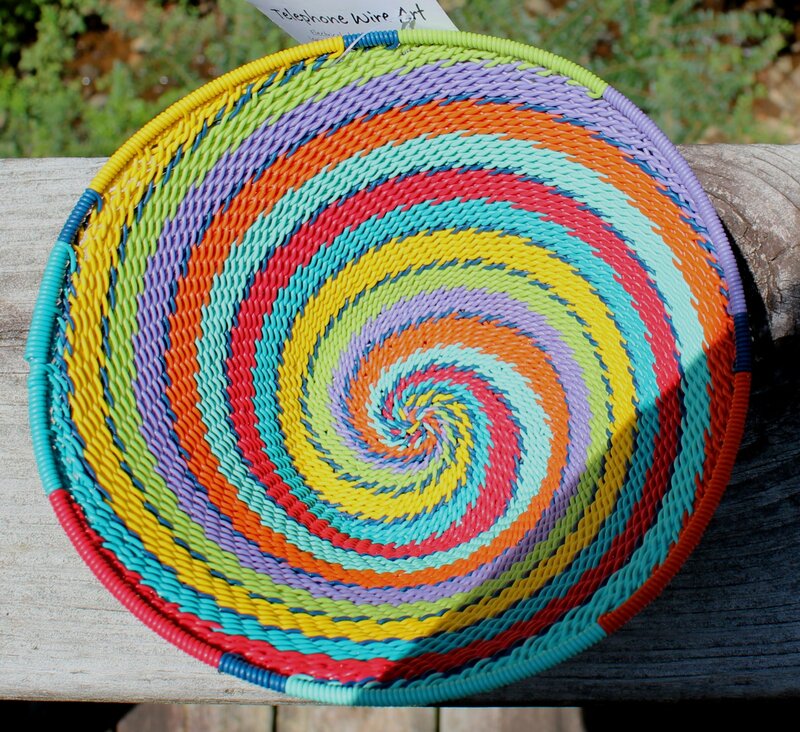 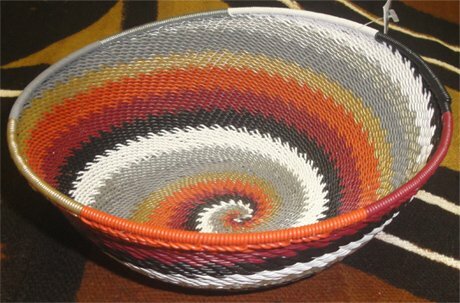 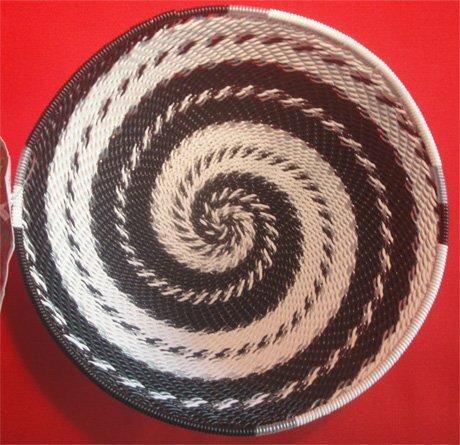 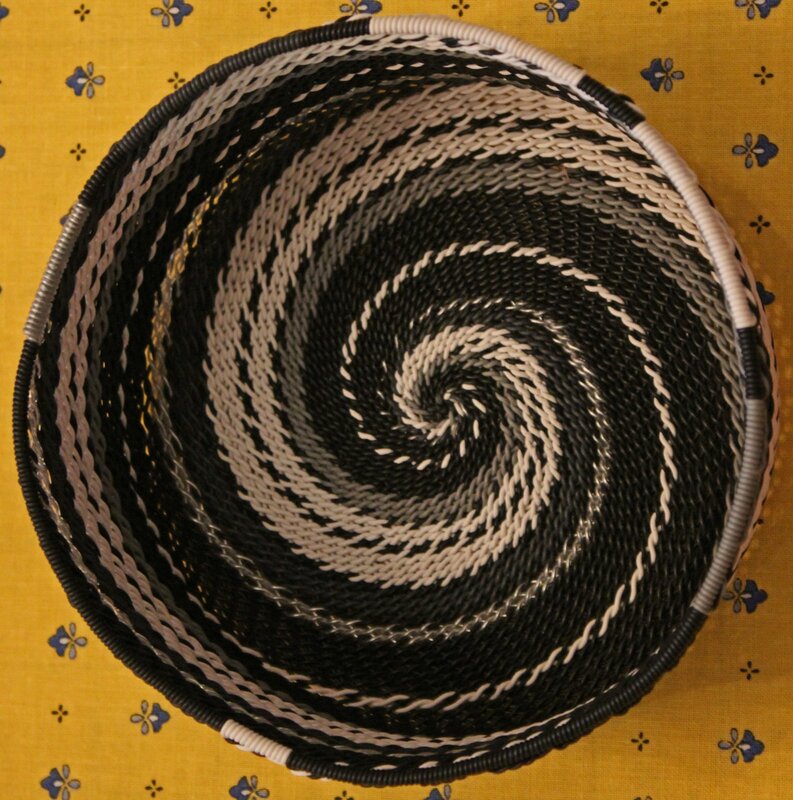 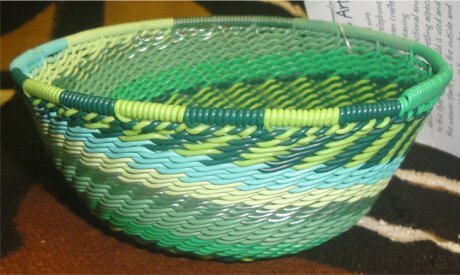 Unlike most baskets that are woven from the bottom, telephone wire baskets are started at the rim and woven upside down on a mold. 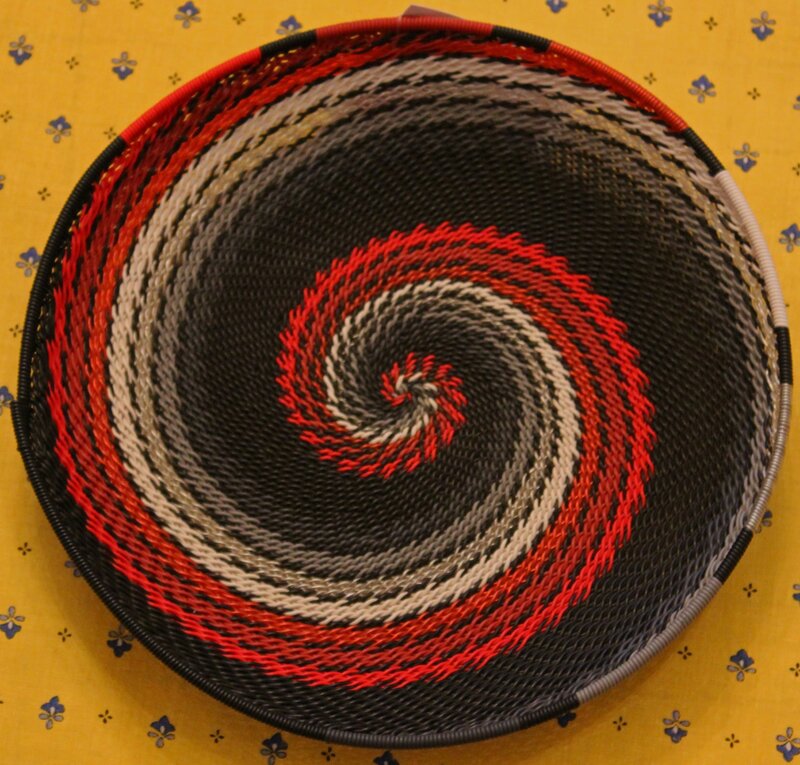 This allows the weavers to make them into the perfect shapes they are known for. 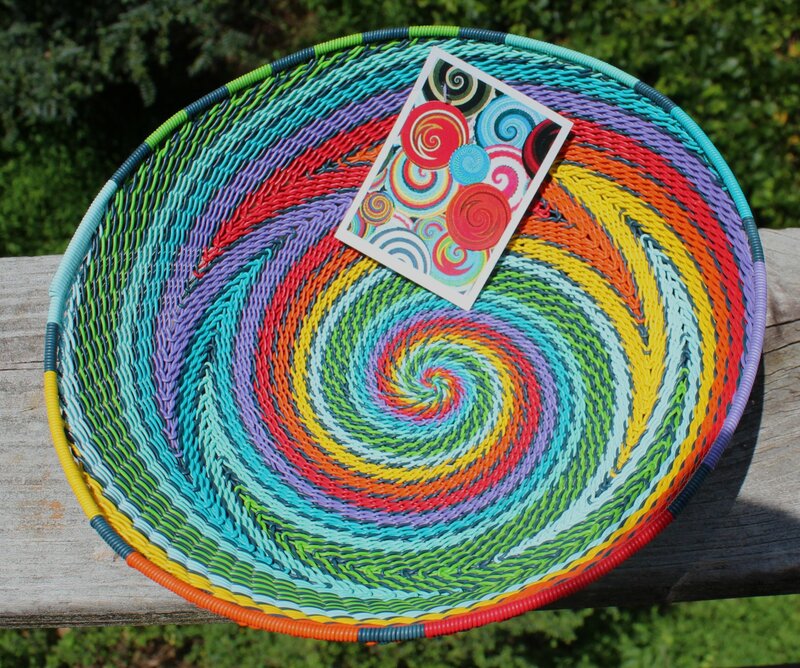 These look gorgeous hung on a wall, are usable to collect keys or coins, and are even handy for entertaining, as the basket can hold nuts or other food items.